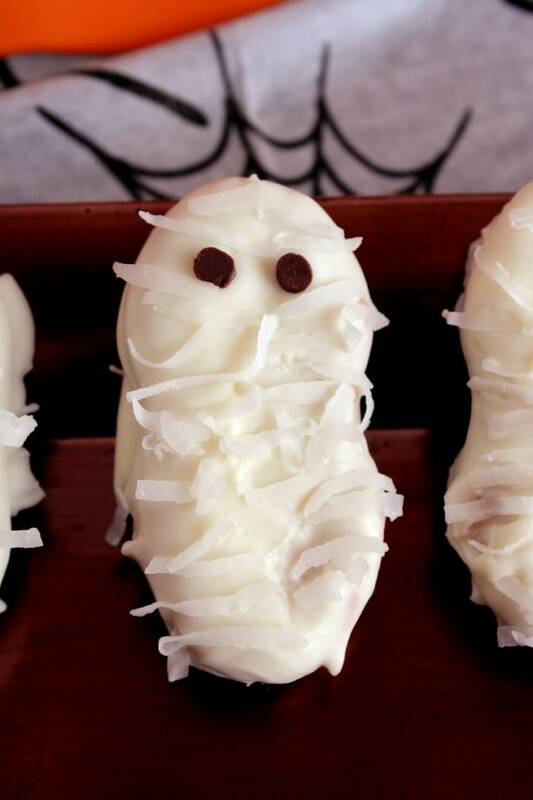 Nummy Mummies – SO MUCH FUN!!! Halloween is right around the corner. 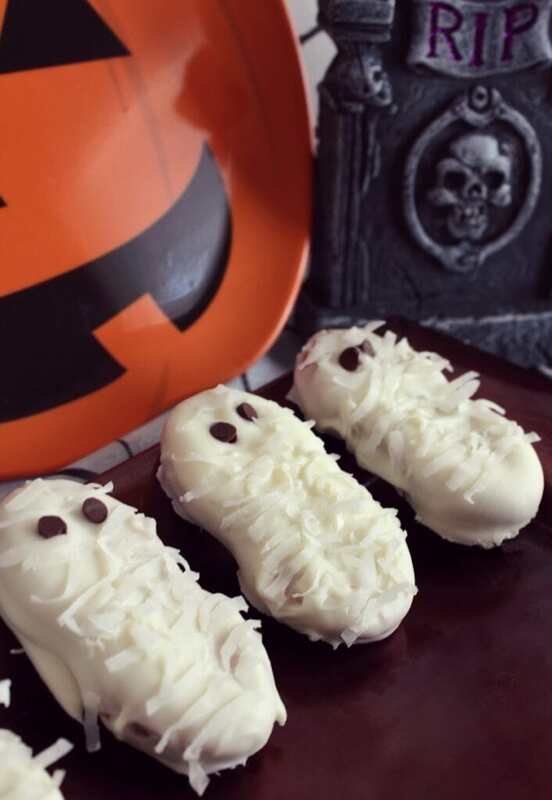 Here’s a super easy / tasty treat you can make with the kids. Working in groups of three dip the Nutter butters into the melted Almond bark. Using a fork flip them over to coat completely, remove to wax or parchment paper. Place two Chocolate chips at one end of the covered cookie. You can use a tooth pick to move them around once on the Almond bark. Take a few strands of Coconut at a time and lay across the cookie in horizontal bands for the “bandages”. It doesn’t take a lot, just don’t cover the eyes. To make the “bandages” look old you could even toast the coconut. Let cool and harden then transfer to airtight container.